Scientists are currently performing tests on a new drug that may lead to the end of insulin injections for Type 1 diabetics. The drug is being developed with the intention of stopping the process that causes the immune system to attack the pancreas in patients with diabetes. Intended for use with those newly diagnosed with Type 1 diabetes, the medication will halt the progress of the disease by preventing the destruction of the insulin-producing cells of the pancreas. The creators of the drug intend to have it ready for use by patients within three years. According to the scientists working on the drug’s development, it will help Type 1 diabetics in continuing to produce some of their own insulin. 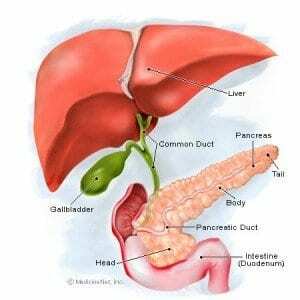 In time, the drug may help the pancreas to recover completely and produce enough of its own insulin to support the patients without insulin injections. Since the pancreas will be producing its own natural insulin, the drug will also reduce the risk of side effects that commonly appear with regular use of synthetic insulin, including kidney disease, stroke, and heart disease. Clinical trials on the drug’s effectiveness and possible side effects are being conducted at 140 research centers in the United Kingdom. King’s College Hospital in London is one of the facilities involved in the study. The trials are also being conducted in other countries in Europe, North America, and South Africa, and in Israel. “The research on this shows it may well be possible that patients could cope without the need for any insulin injections,” said Dr. Eleanor Kennedy, spokeswoman for the Juvenile Diabetes Research Foundation. “This is very exciting,” continued Kennedy. Type 1 diabetes is caused by a malfunction in the immune system which causes it to attack the pancreas, destroying insulin-producing pancreas cells that manage blood glucose levels. If the condition is left untreated, blood glucose levels rise to dangerously high levels. Type 1 diabetics require regular injections of insulin to supplement their own lack of insulin due to the destruction of pancreatic cells. If a Type 1 diabetic does not receive insulin, he or she will enter a coma and die. The new medication being developed, temporarily called DiaPep277, prevents the immune system from destroying the insulin-producing pancreatic cells, allowing the body to make enough of its own insulin that injections are not required. The medication is made from a protein known as a long-chain heat-shock peptide and was first developed by professor Irun Cohen at the Weizmann Institute in Israel. Type 1 diabetes affects nearly 250,000 people in the United Kingdom; in the United States, that number rises to about three million. Type 1 diabetes differs from Type 2 diabetes in that the former is typically diagnosed in childhood and the latter is developed later in life and is typically caused by obesity. Type 1 diabetics receive injections of synthetic insulin to manage their blood glucose levels as their bodies are unable to produce insulin on their own. Both types of diabetes are very costly to the public, costing millions in treatment every year. This entry was posted in Diabetes News on August 30, 2011 by admin.